This post was sponsored by Amara. However, all thoughts and opinions are my own. 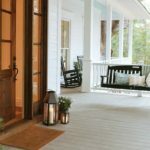 When we first toured our home a few years ago, we walked through the front door, took notice of the screened in porch, and immediately walked through the French doors and onto the screened in porch. The interior of the house was a bit of a mess. But, the exterior of the home had us fall in love immediately. We knew that we could add our special touches to the interior to make the house our home. As for the exterior, we knew that this was our home. Why? The yard. The gardens. The screened in porch. Check, check, and check. All of the boxes were checked as far as the exterior wishes we had for our new home. When we moved into our home, I put a lot of focus on trying to make our outdoor living space comfy, cozy, and welcoming. 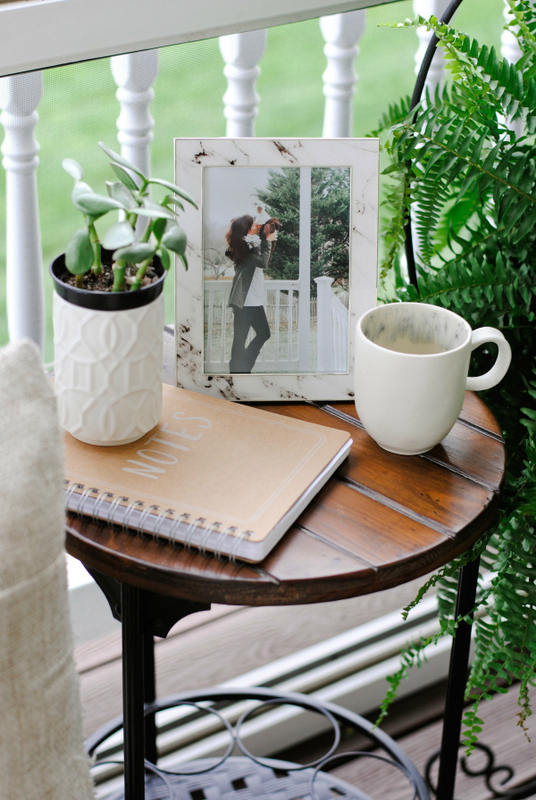 Thanks to the help of Amara, I was able to make our porch even more welcoming by placing some of heir amazing products throughout our porch. 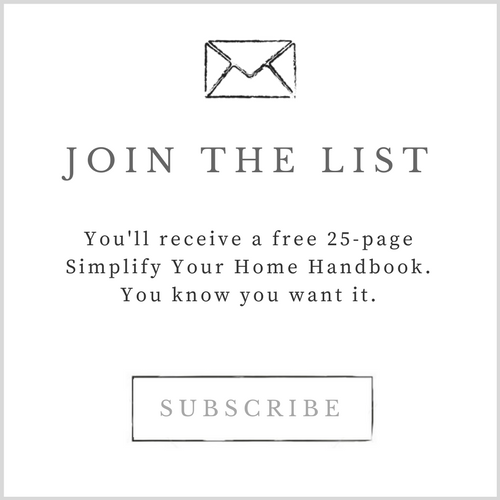 Click here to view a special feature of our outdoor living space on their site. 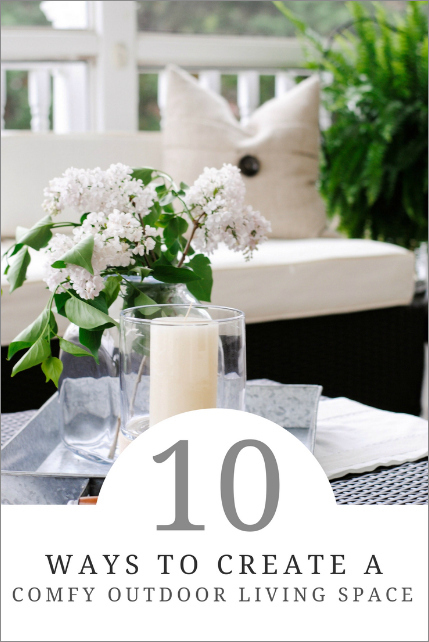 Here are some of my favorite ways to create a comfortable outdoor living space. 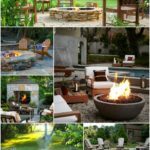 The correct furniture makes all the difference when it comes to outdoor living. 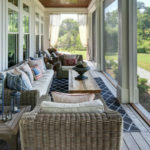 When we first bought our house, I knew that I needed to find great furniture to place in our screened in porch. I wanted furniture that was comfy, classic, timeless, chic, and beautiful. Plus, I’m all about neutral colors so I needed something that would be a great base for the rest of the decor on the porch. I came across the furniture in the photos and I’m so happy that we purchased the furniture. The furniture checked all of the boxes when it came to filling the space. 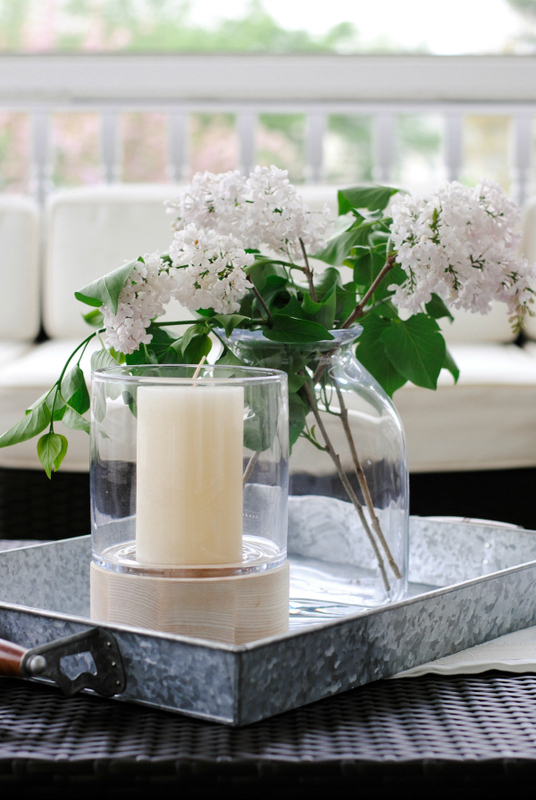 Whether you get vases or lanterns, when spending time in your outdoor living space during the evening and nighttime hours, candles create such a beautiful and warm ambiance. It’s always nice to be able to place food and drinks on something sturdy. Offering a coffee table, a main table, or end tables are a nice touch and make the space more enjoyable for you and your guests. 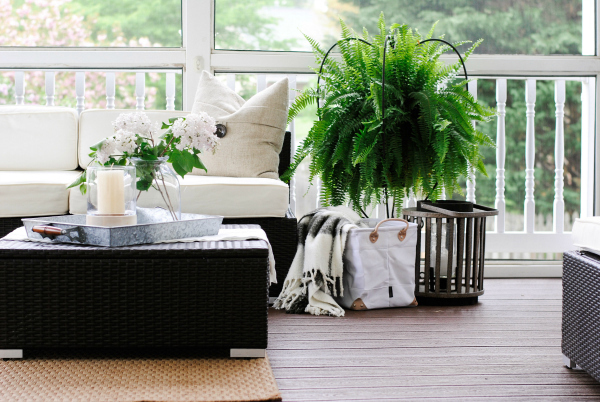 From hanging baskets to vases filled with flowers to potted plants, creating a space that is full of flowers and greenery is a nice way to warm up the space and add a touch of natural decor to an outdoor living space. 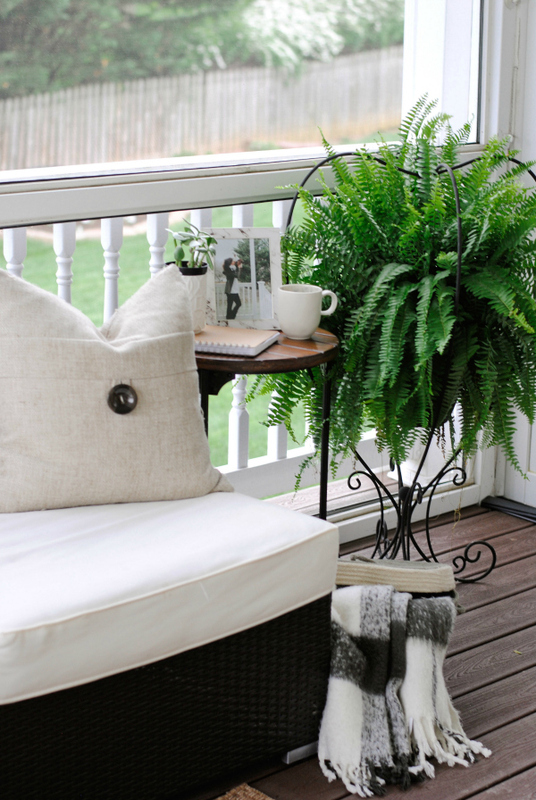 Pillows are a great way to add comfort to an outdoor living space. Plus, if you’re into color, you can choose patterned and colorful throw pillows to warm up the space. What I love most about baskets is that they are multi-functional. 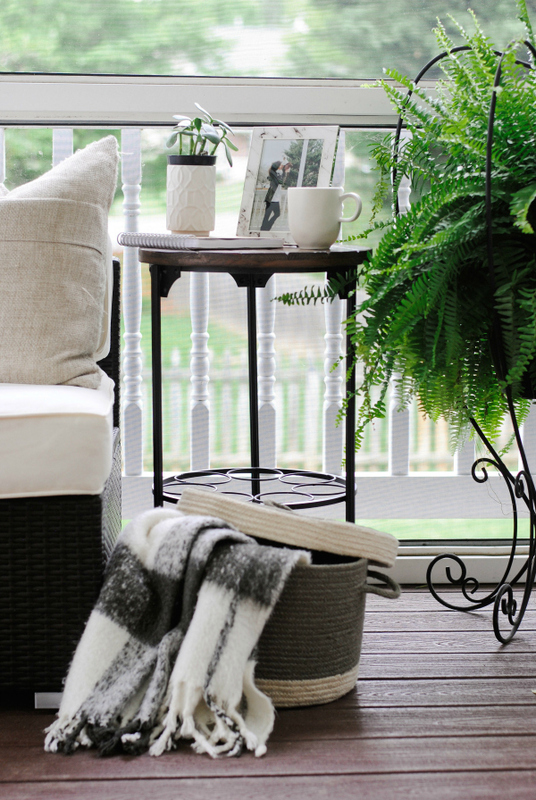 From storing items to hiding items to displaying items, baskets are a simple way to add warmth, organization, and beauty to an outdoor living space. We often hang out on our porch during the evening hours. There are some summer nights that tend to be on the chilly side. So, it’s always nice to grab a comfy blanket to curl up under as you enjoy your time in your outdoor living space. 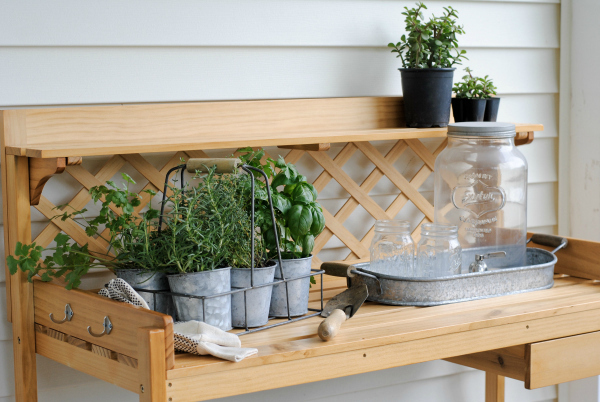 Having herbs in your outdoor living space not only add natural beauty but they also make the space smell fresh and amazing. I love having a spot in our outdoor living space that makes it easy for people to grab a refreshment or a cocktail. Instead of having to go inside, having a drink station means that you have what you need within the area. It’s all about simple convenience. We have two area of our porch: (1) the screened in area and (2) the pergola area. On the pergola, we purchased cafe lights and draped them throughout the beams of the pergola. Set on a timer, these lights turn on when it gets dark outside and turn off after we go to bed. These lights offer the perfect ambiance and softly brighten up the space as we spend time in our outdoor living space. Amara is my new favorite store. 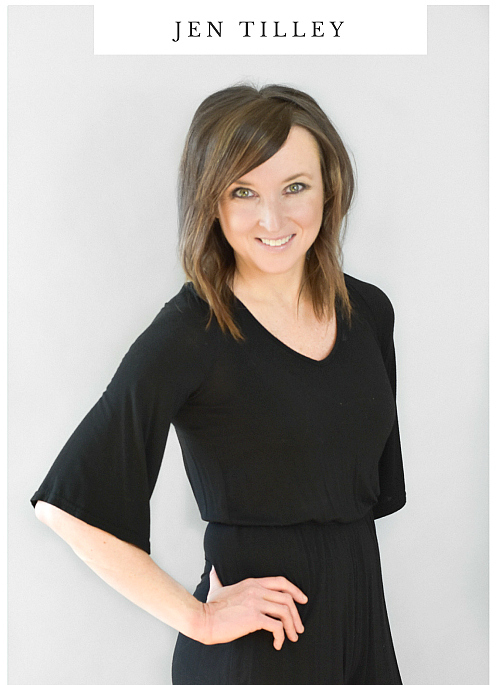 Initially starting life as an interior design business, Amara has always been about bringing designer style and expert knowledge to every home. Today, Amara proudly houses over 300 of the world’s most luxurious home fashion brands. Many of which are exclusive to them, such as Ralph Lauren Home, who have carefully selected Amara as the only online store to distribute their home collections. 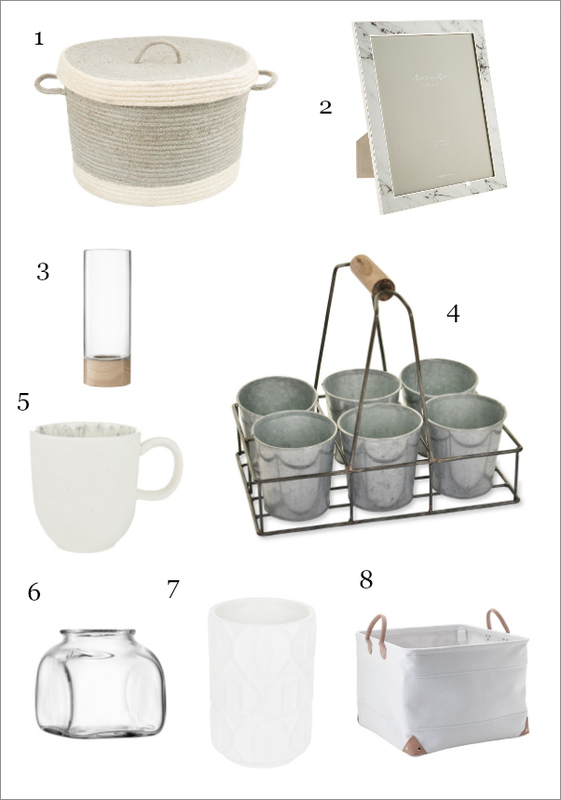 Here are some of my favorite finds from Amara. 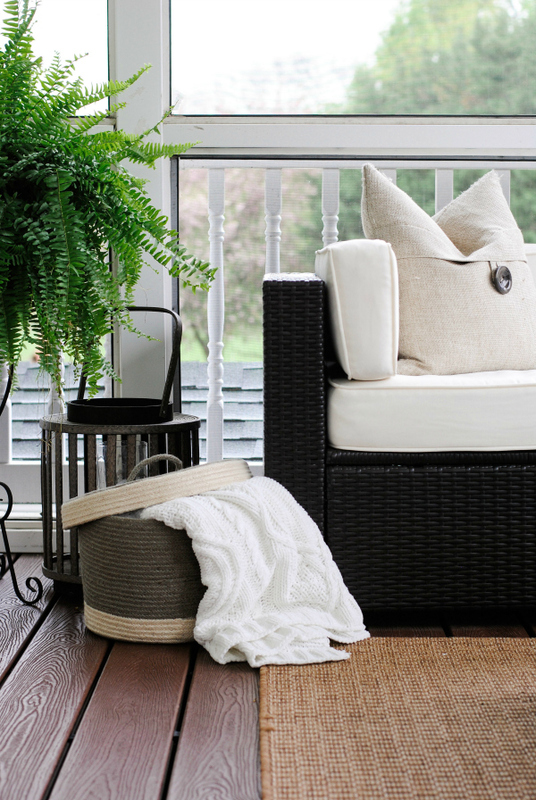 These items add the perfect touch to create a comfy outdoor living space. Click here to view a special feature of our outdoor living space on their site. 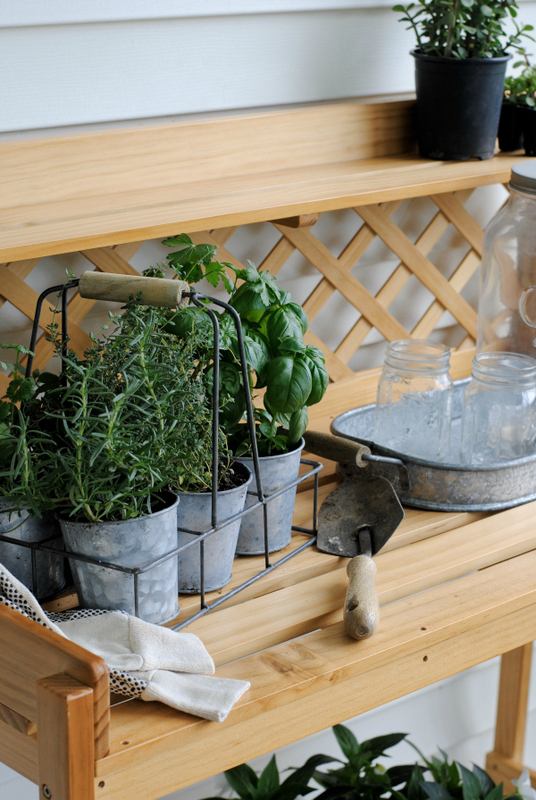 What’s your favorite way to create a comfortable outdoor living space? Outdoor living space must be comfortable so that everyone can enjoy sitting there. 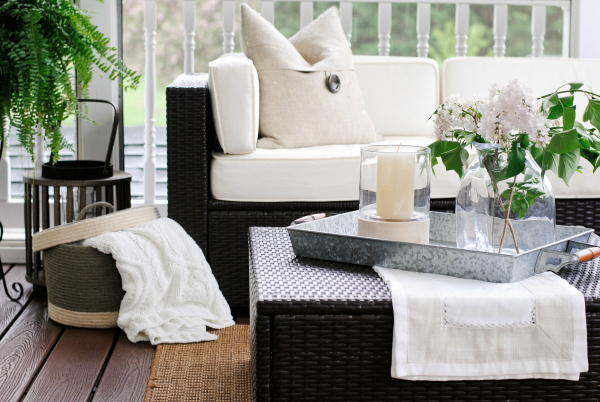 Thanks for sharing the ways to create a comfy outdoor living space.